I know matte lips are all the rage right now, and I’m so glad that they are. When else would beauty brands start making wearable, non-creamy lip products that I’ve been looking for all my life? But let’s face it, I’m growing a bit weary of this trend. I’ve finally found my go-to matte lip products, so now we should all move on. 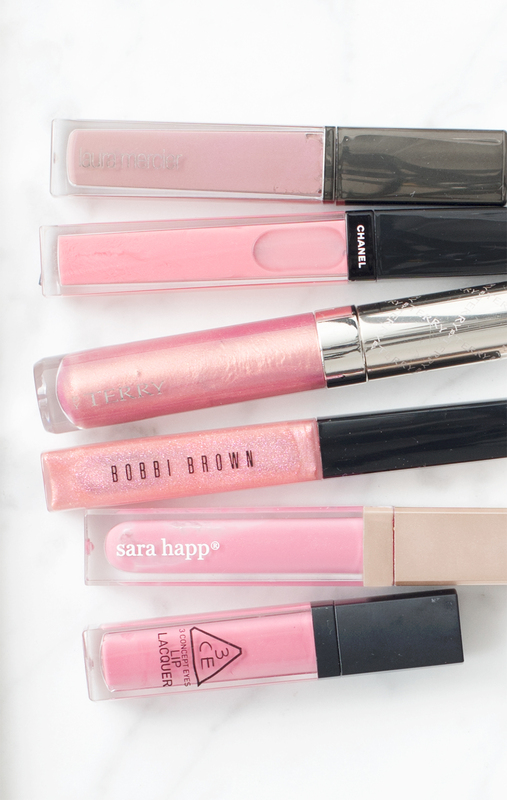 Not only is it time to bring back glosses, it’s best to start with glosses that would make the transition less traumatic (I’ll explain later). 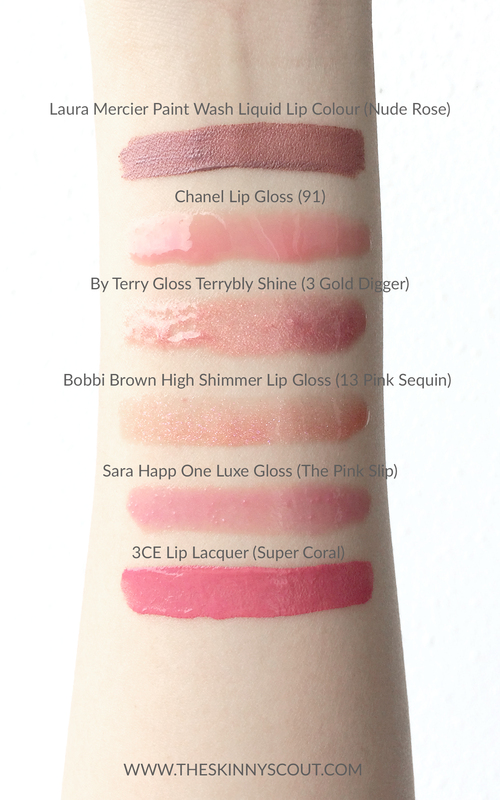 I present to you the 6 most work-safe lip glosses I currently own and have decided to bring back to life. This is a semi-matte lip colour that doesn’t have much of a fragrance or scent. It’s highly pigmented and very natural-looking. Because it’s a mauve shade, it adds a tinge of seriousness to your overall look. Great for meetings at work! A fun, shiny pink to give you juice lips for the day. I’d wear this for a fun lunch date with a friend, to remind me of the carefree summer days and flowy dresses. I had been looking for a pink lip colour with gold flakes in it and this lip gloss fits the bill like no other (unless you consider manually adding gold foil or glitter on top of lipstick). This is one super shimmery gloss, so save it for evening drinks. A classic, sheer lip gloss with some shimmer in it. This one’s perfect for the days when you really don’t have time to think about colour coordination before heading out the door. This one’s been one of my absolute favourite for the longest time ever. If you look closely at the very first picture of this post, you’ll see it’s almost run out. I’ve never finished any other lip product in my entire life! Superbly moisturising, you will like this for the days when you just want to be sweet 16 again. Super pigmented, super bright and so fun to wear! I love this for the energy it brings, both to the wearer and the seer. I’d wear this on Mondays and Fridays – to begin and end the week on a good note. 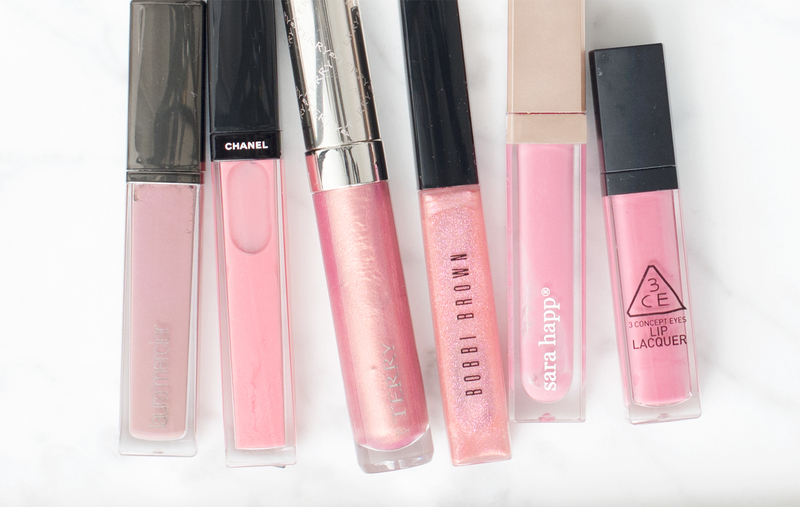 The best part about these glosses is that most of them can be worn on top of your matte lipsticks to give some added shine and plump things up a little. Even just a tiny dab on the middle of both your upper and lower lips can make a difference, however slight. These shades are also very wearable and natural-looking. And because of these reasons, you won’t get a complete shock going from matte to gloss in a matte-r of hours. If you are looking for more beauty news, as well as tips on what to wear at the work place, don’t gloss over the fact that you can get your free access to TSS Beauty Bible! 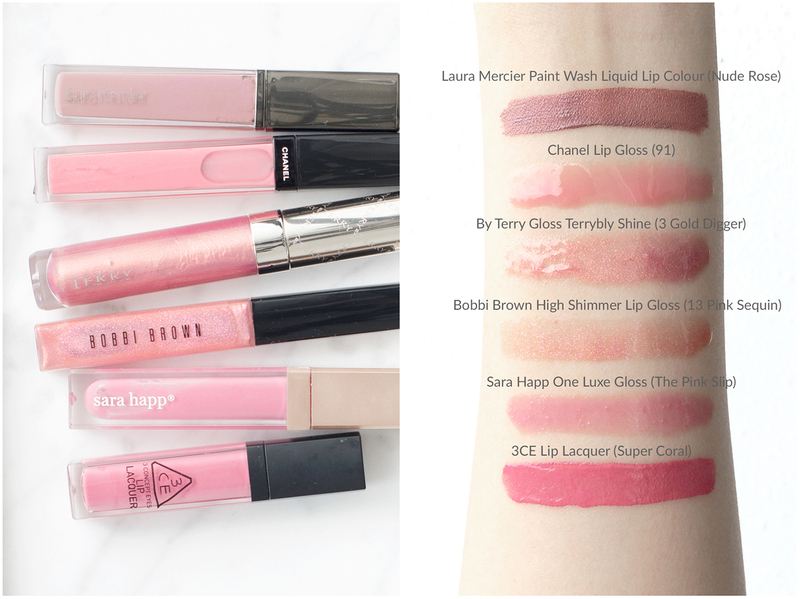 6 Absolutely Work-Safe Lip Glosses You Need was last modified: January 12th, 2017 by Roxanne C.